"I have a team on the ground right now trying to negotiate with the Taliban terrorists in Afghanistan, trying to find a way to achieve an Afghanistan that's not at war, that's not engaged in violence, that doesn't present a threat to the United States of America, that will respect the fundamental basic rights for every Afghan citizen -- women, children -- across the full spectrum," he said. "That is a complicated problem, and if you add in the regional players -- Afghanistan, Pakistan, India, China, Russia, all who have an interest in Afghanistan -- it's an incredibly complicated negotiation," he asserted. At the same time, he said Khalilzad, who was leading American efforts in this regard, was on the ground, trying to "find pockets where there's sufficient agreement that everyone can begin to move forward, take all the various complex pieces and bring them together" to hopefully get an agreement. 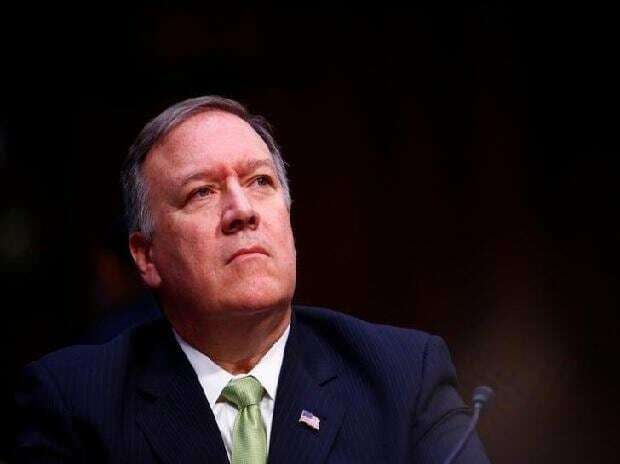 Pompeo said the Afghan agreement would be "based on fundamental understandings about different interests and incentives" that the parties had so that this agreement would hold and stay. "In this case, if we could do this, if we could pull off a resolution in Afghanistan, boy, the good that we could do for the world. I hope Ambassador Khalilzad makes progress," he said.